A lot has been going on in our little community lately we had a very tragic event last week. I was on my way to The Unity Farmers Market yesterday and I prayed for God to protect my family and to protect our farm, since we have bears, coyotes, Fischer cats, weasels, and at times Homosapiens that don’t always have our best interests at heart. 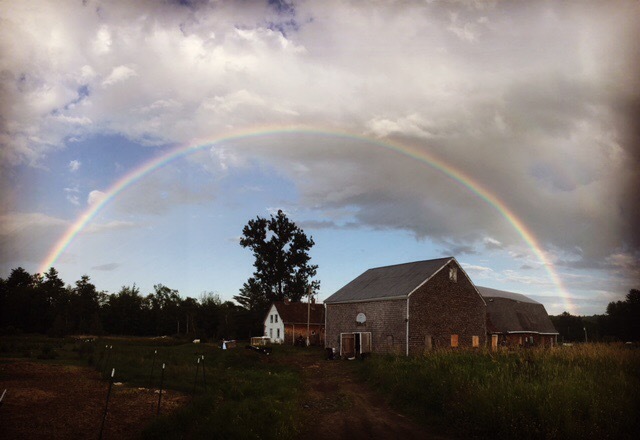 After returning back from a very successful day at the Market (cooking and giving out samples) We had the most beautiful and intense double rainbow. I took this as a sign that God is blessing us and protecting us.